Mastin is coming to your city! This is not your normal workshop. This night will transform your life. 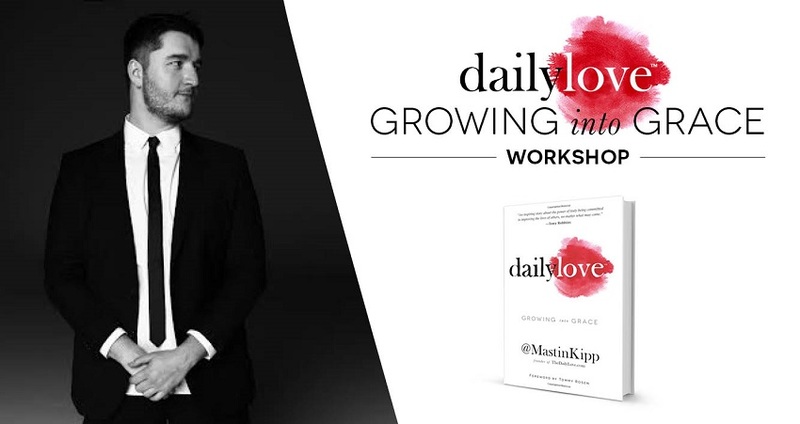 Mastin will be leading a fun, inspiring and powerful lecture based on his new book "Daily Love: Growing into Grace". How Mastin went from couchsurfing to running a successful business. Tools and techniques to turn your life around. Powerful guidance from Mastin about how to turn crisis and setbacks into success. A meditation you can use each day to turn fear into power. Lots of awesome, energetic music. An amazing community of like minded people. This will be followed by Q&A and book signing. Creating space for the life you want to live and the feelings you want to feel. Even though it might mean giving up the company paycheck and the health insurance. Changing patterns. Taking little actions, making those a habit, and building them into something big. Instead of layering on more yoga and therapy and green juice and Om and affirmations and self-help and waiting for it all to take effect. Since creating TheDailyLove.com, Mastin has worked with thousands of people online through his Love University courses and millions of people visit the Daily Love annually. In Growing Into Grace, Mastin recounts various spiritual principles learned in his life which were introduced to him by teachers such as Joseph Campbell, Caroline Myss, Tony Robbins, George Lucas, Oprah, and so many more. Mastin will share with you stories that will have you laughing one minute and crying the next. With Mastin’s youthful and engaging spirit, attendees will gain a new perspective on what it means to be spiritual for the next generation. What better way to spend the evening? See you there! *You gotta show up to get your copy of Daily Love: Growing into Grace. If you're a no show, you won't be mailed a copy of the book.